You’ve probably heard the buzz word ‘omnichannel marketing’ for a while, but did you know only 8% of marketers feel they are successful with their omnichannel marketing efforts? Last fall we commissioned a survey to understand the challenges marketing execs feel they are facing when it comes to implementing and executing an omnichannel strategy. We recently hosted a webinar in partnership with the Mobile Marketing Association, where we discussed our findings, and how location data specifically can fuel successful omnichannel marketing. Through our research, we found that 47% of marketers said creating a ‘unified customer experience’ is their #1 priority. A number of large brands are already doing this by leveraging organic content via user-generated content (think: Starbucks Frappuccino Happy Hour campaign). Brands are permeating their messages, imagery and specific offerings cross-channel, by leveraging their consumers as brand ‘evangelists’ in the form of content creators. If you can understand the phone and where the phone has been, you can understand consumers. Smartphones provide latitude/longitude coordinates, timestamps and device ids, as the consumer moves — with their phone — throughout their day. Without any context, these raw data points aren’t that meaningful. But by organizing them around places that people visit, you now have insight into real consumer behavior. Location data has characteristics that enable it to mesh with other data sources. Within the mobile location space, visitation data can be used to string together an understanding of media, and provide a great deal of intelligence that facilitates planning, execution, measurement and analysis across all channels. Location data is not an isolated dataset — we like to call it a horizontal enabler, since it provides relevant context to many functions of business. Bottom line: Location data is paving the way to allow marketers have a more unified approach within an omnichannel environment. Check out this recording for the full webinar. 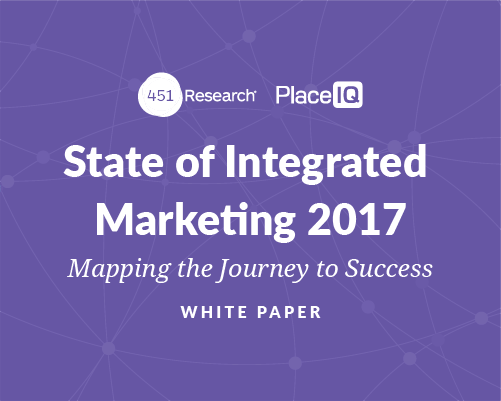 And be sure to download our whitepaper for in-depth insights and stats about location-based omnichannel marketing.